The Lexon has lost its black front cap above the windows and gone back to white while keeping its sunroof. 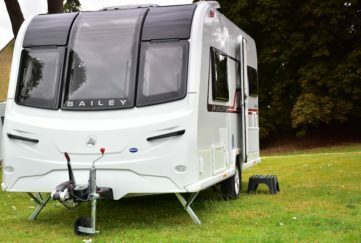 A large front locker is a must-have for many caravanners and the Lexon has it. Al-Ko chassis with ATC fitted, plus BBQ point and external mains plug and Status TV aerial are all standard fit, and the new side graphics looks less fussy too. Add to this the new silver handles and it’s a good looking tourer. 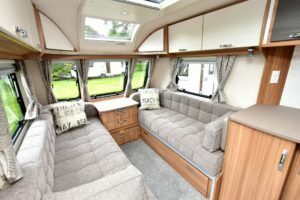 The large front lounge allows four to sit in comfort while the seating is excellent. The kitchen offers great spec with fridge and separate freezer with microwave above it opposite. The kitchen has a great worktop and stacks of cupboard storage too, plus a worktop extension for those who need more space. 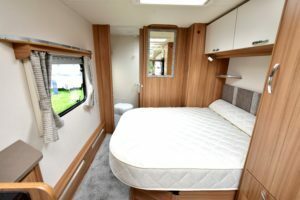 The rear bedroom has a transverse fixed bed, which can adjust to slide back a few inches for daytime use. Twin wardrobes and a corner unit is fitted while a large pelmet over the side window also acts as a shelf. 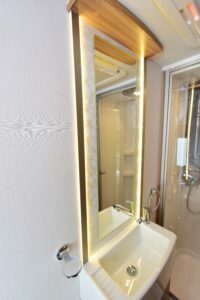 oard is fitted with light up surround mirror. The Lexon is a big spacious tourer. We would like to see Alde heating as standard but overall you get a lot of tourer for your cash. Excellent night lighting is all LED and is up to usual Lunar standards. 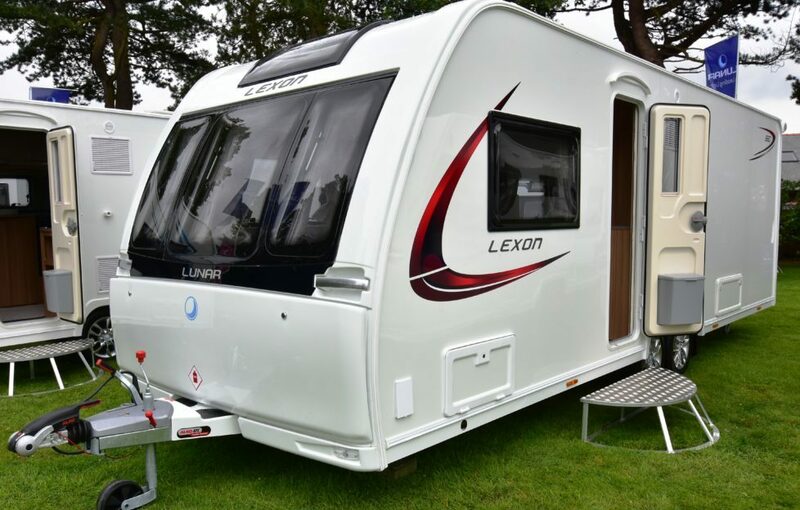 The Lexon 660 could prove a great seller for Lunar this season with its excellent living space. It’s another to look out for at the shows or your local Lunar dealership!